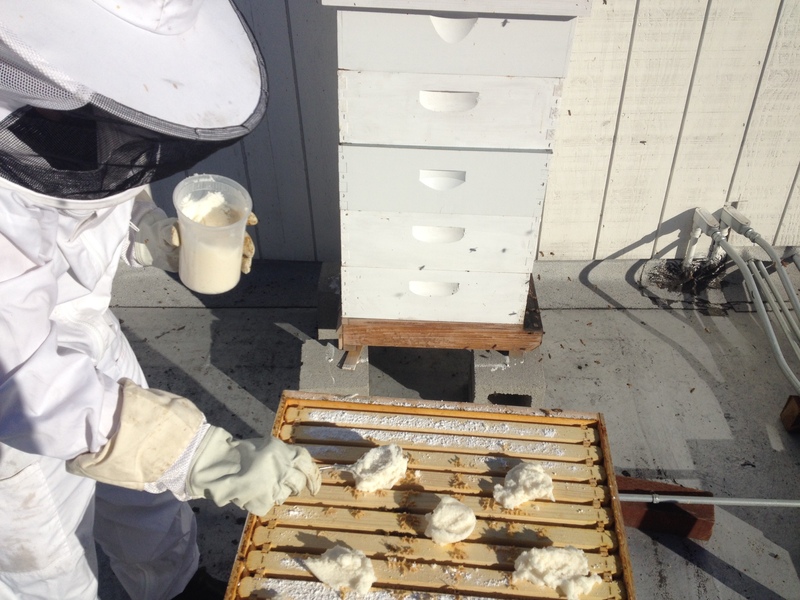 This weekend we removed the grease-patties—which seemed to be effective as a lot of mites had dropped from the hive. We’ve now sealed things up and will let the ladies hunker down for the winter without disruption, aside from the occasional visit to check external activity. Good luck bees, we’ll see you in Jan/Feb! Yep, we’re concocting Wintergreen infused grease patties as an active defense against the mite problem. Hopefully it’s not too late for either hive, though the Italian hive is looking slightly weak. 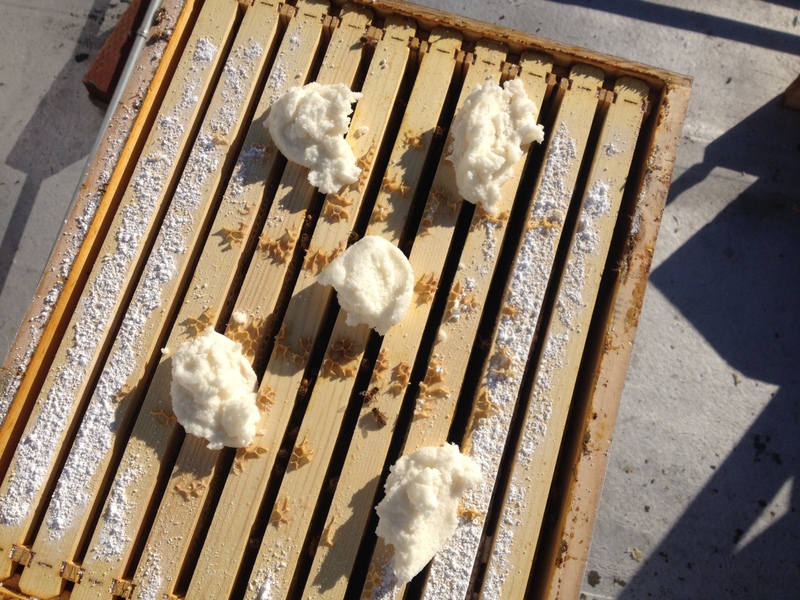 Below are a few pics of the patties (sugar, honey, salt, grease, wintergreen extract) that we placed on top of the brood supers. Our research has pointed to this solution as a worthy Fall treatment to kill mites and help the bees make it through the winter. As a last measure we’ve reduced the Italian hive down to three supers—they weren’t showing any activity in the honey-bound top two supers and by our calculations should have plenty of honey for the winter in the bottom three supers. 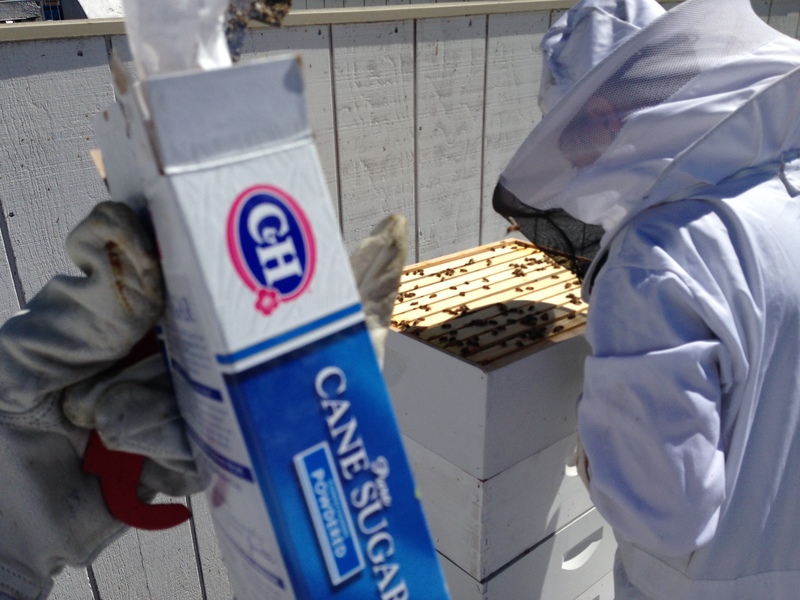 The activity in our two hives is so very different—here we see the bottom boards side by side. 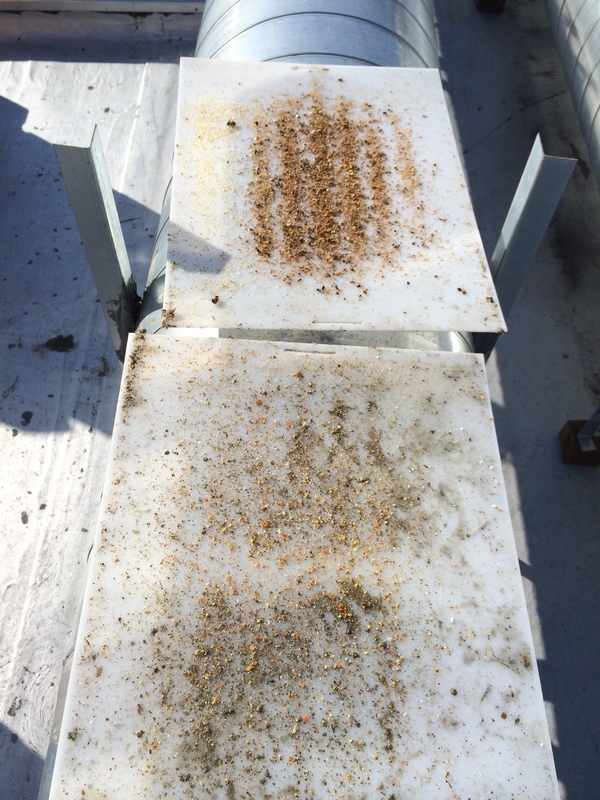 The local hive (nearest) has a lot less detritus falling to the bottom of the hive and fewer mites—the Italian hive meanwhile has more mites and more fallout which we attribute to the hive’s poor performance and lower number of bees. 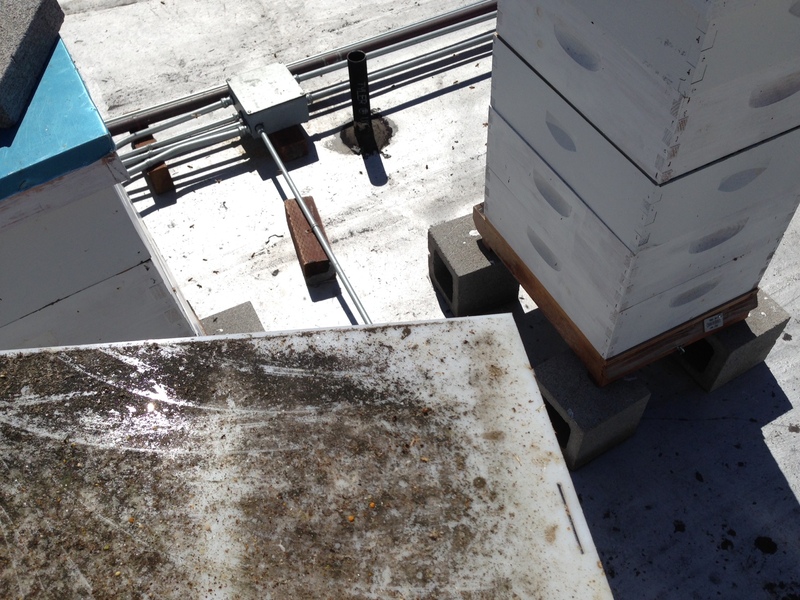 Okay, so it’s clear one of the hives on the Abbot’s Cellar roof has mites—but they seem to be thriving in numbers! This has been a huge stresser and we continue to debate the best way to handle the issue. Adding to the complexity of the situation, both hives appear to be thriving, but as we check the bottom board we’re seeing a high count of mites that are dropping from the hive. We originally looked into Mite-Away strips but the utter toxicity (though organic nature of Formic Acid) so we’re returning to regular dustings of powdered sugar and reading up on additional DIY mite-treatments that will help our bees get through the winter! Any organic, non-toxic recommendations and tips are readily welcome! 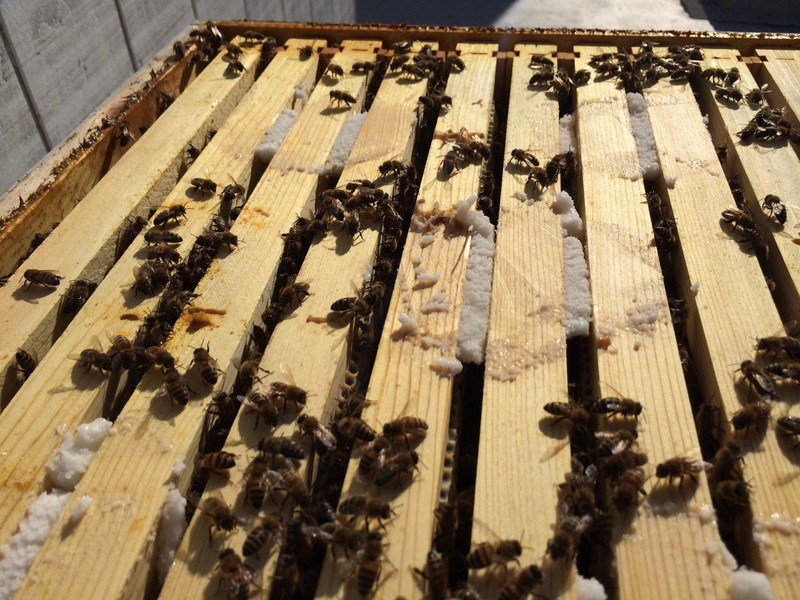 For the first time ever one of our hives very clearly has mites. 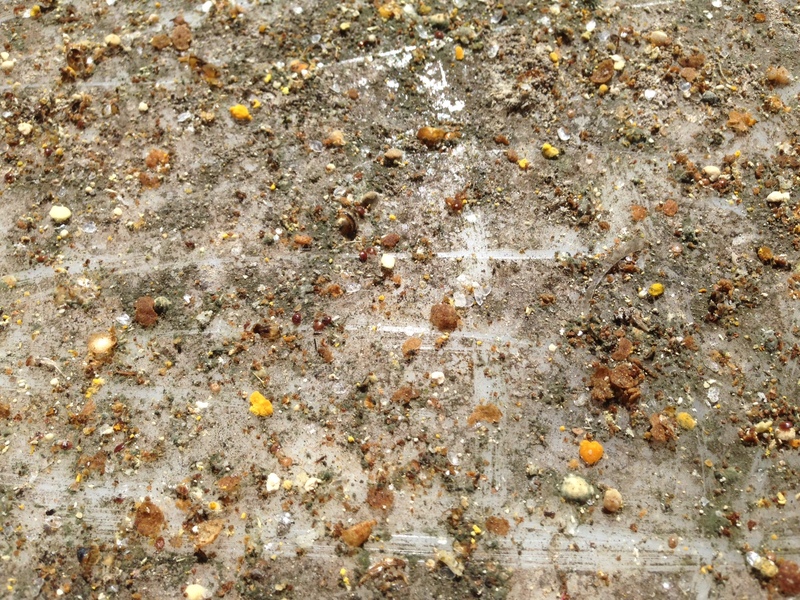 We did a powdered sugar check just to see if mites may be an issue and sure enough we have a few of the buggers. This is a totally new issue for us so if any of you fellow beekeepers have any suggestions for organic mite removal please do let us know! 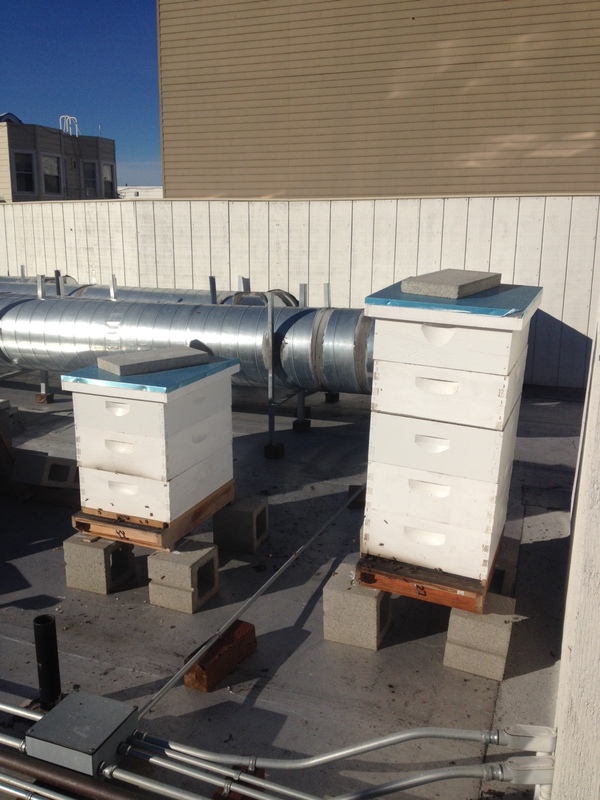 As you’ll recall, on the roof of Abbot’s Cellar we recently had a swarm on our hands. 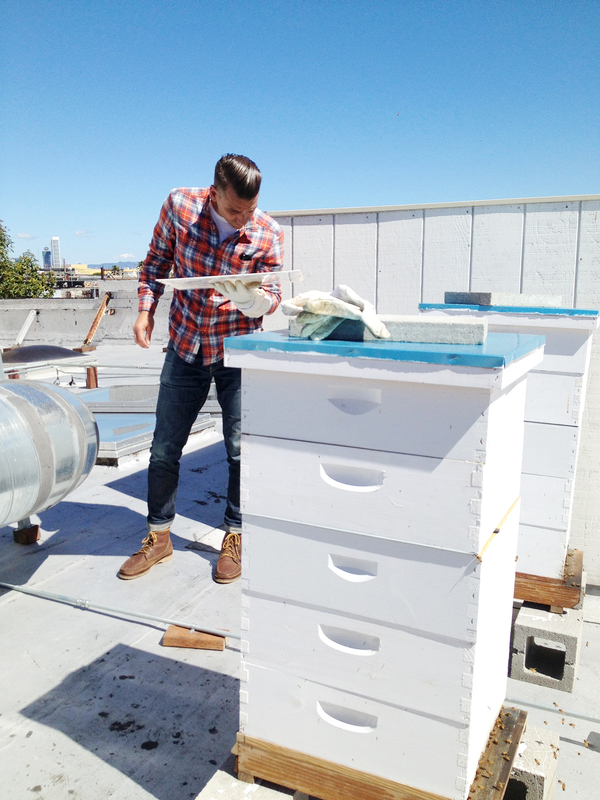 Our response has been two pronged— 1) decide what has caused the swarm 2) capture the swarm. We tackled the easy one first, check for mites and see if that might be the cause of a swarm (fingers crossed this wasn’t the case). 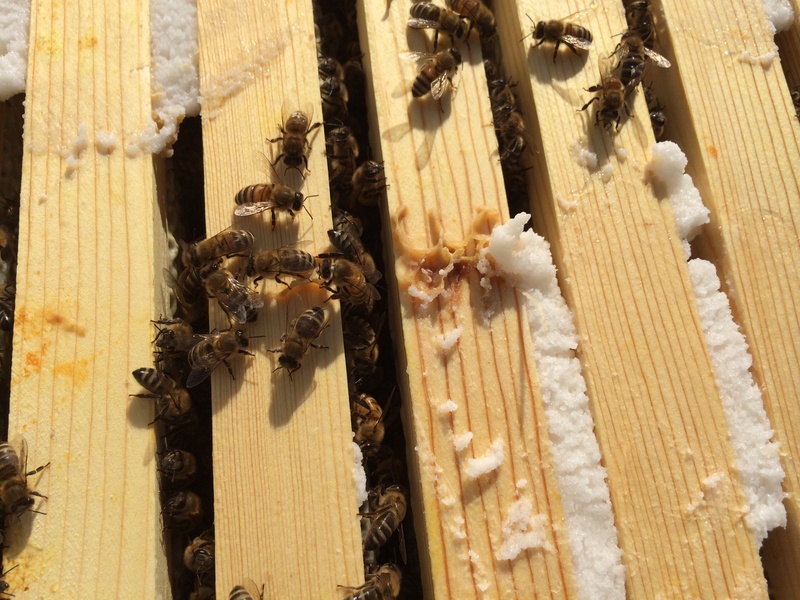 Our test for mites was a quick dusting of powdered sugar, let the ladies clean themselves off and see if any mites or any other baddies fall to the bottom of the hive. On our next visit we’ll check the bottom board and see if anything shakes out. Literally. And now for capturing the swarm!